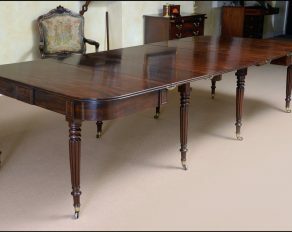 Categories: Dining Furniture, Fine Walnut, New stock, Seat Furniture. 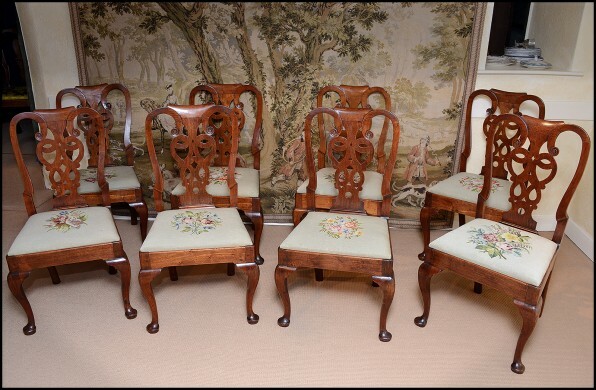 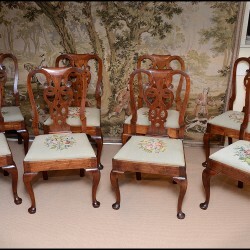 The shaped rectangular backs with interlaced carved splats and drop in seats. 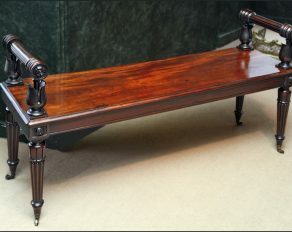 The front cabriole legs raised on a pad foot.